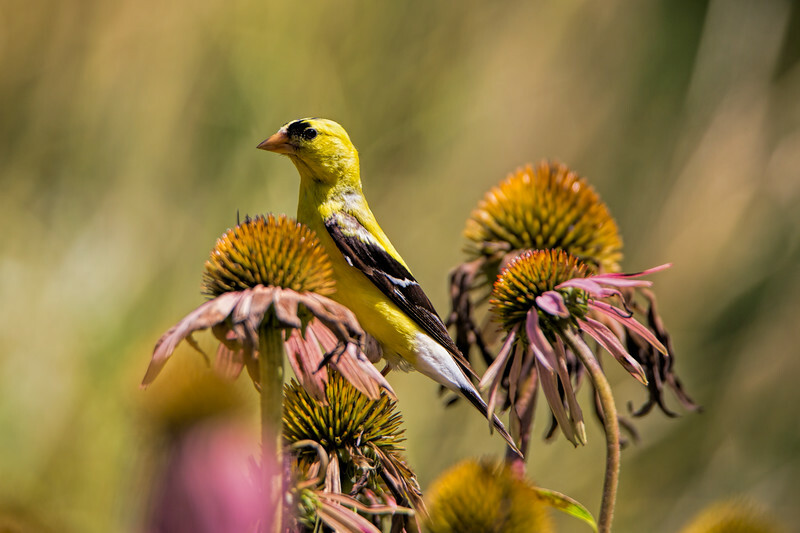 American Goldfinch ... male, and he's a much brighter yellow than his female counterpart. They've been snacking on the spent coneflower seeds the last couple weeks. It's such a treat to see them after the bees and butterflies are done with them, then the Goldfinch finishers come in.